Walt Disney Records announced today that country superstar Brad Paisley will have two original instrumental tracks included on the upcoming Cars 3 Original Motion Picture Soundtrack. “Truckaroo” and “Thunder Hollow Breakdown” accompany the film’s action-packed Crazy 8 demolition derby sequence that puts Lightning and Cruz in the midst of total chaos. Pre-order for the soundtrack begins tomorrow (HERE) and will be released on June 16 as the movie opens in theaters. 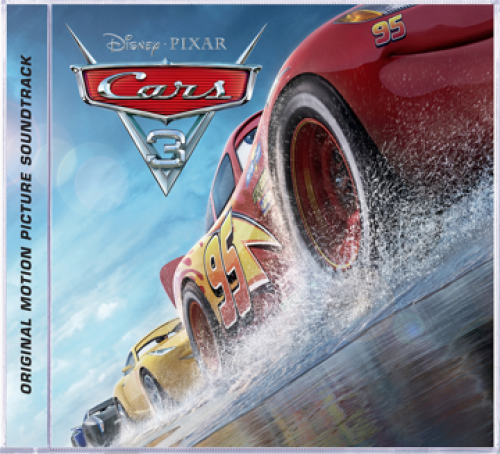 In addition to Paisley’s two instrumental tracks the Cars 3 Original Motion Picture Soundtrack features “Run That Race,” an original song written and performed by nine-time Grammy® winner Dan Auerbach and also features “Ride,” an original end-credit song performed by ZZ Ward, featuring musician Gary Clark Jr. Written by Ward, Evan Bogart and Dave Bassett. Blindsided by a new generation of blazing-fast racers, the legendary Lightning McQueen (voice of Owen Wilson) is suddenly pushed out of the sport he loves. To get back in the game, he will need the help of an eager young race technician, Cruz Ramirez (voice of Cristela Alonzo), with her own plan to win, plus inspiration from the late Fabulous Hudson Hornet and a few unexpected turns. Proving that #95 isn’t through yet will test the heart of a champion on Piston Cup Racing’s biggest stage! Directed by Brian Fee (storyboard artist “Cars,” “Cars 2“), produced by Kevin Reher (“A Bug’s Life,” “La Luna” short) and co-produced by Andrea Warren (“LAVA” short), “Cars 3” cruises into theaters onJune 16, 2017.